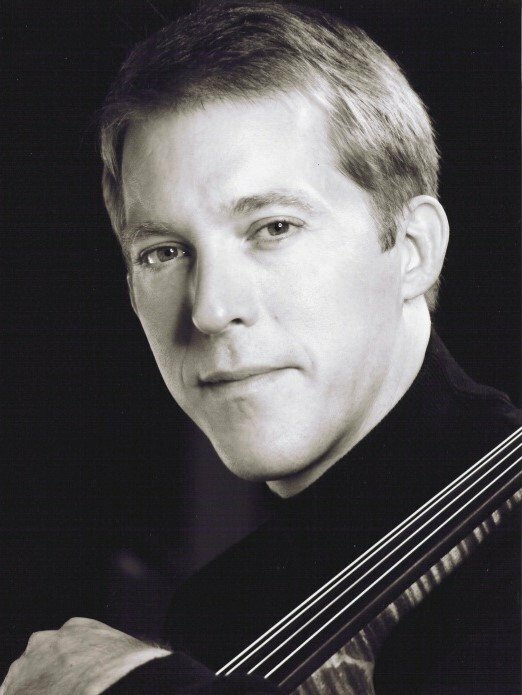 Associate Principal Cello of the Dallas Symphony Orchestra Jolyon Pegis comes from a musical family (growing up with three violinists), and has a musical family (his wife Donna and son Alex play the cello, too). 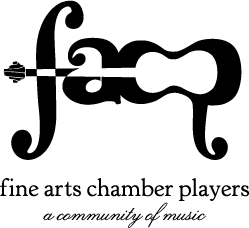 Mr. Pegis is our featured soloist on the program this Saturday for our Bancroft Family Concert: Baroque & Classical Masterworks. He performs cello concertos that bridge the gap between the two musical eras. What piece on the program are you most excited about? What should we listen for? I’m especially excited about the Vivaldi. It happens to be a family favorite. My wife Donna and son Alex are both cellists and we have enjoyed listening to this piece many times. I’ve always wanted to play it. Also, the Boccherini is so fun and challenging to play. It’s been a lot of work to learn, but totally worth it. Is chamber music for cello a big part of the repertoire? Yes, it is. These pieces are interesting because they are really chamber concertos. I was surprised to learn many years ago that Vivaldi wrote about 35 of these concertos for cello and Boccherini wrote 15. How old were you when you started playing cello? Why did you choose it? Did you learn other instruments? I actually started with the violin. I played from ages 5 to 8 and then switched to cello. I’ve always liked the lower register and darker sounds of the cello. I also played the piano throughout high school. What type of music did you listen growing up? I come from a family of classical musicians so it was strictly classical in our house growing up. With three violinists in the family I heard a lot of violin concertos as a kid. I know we wore out many records from constant playing. Although I preferred playing the cello I really liked listening to certain violinists more than anything. Fritz Kreisler and Pinchas Zukerman were my favorites. What do you listen to now? I spend so much of my time in rehearsals or performing that sometimes I prefer silence after a concert. The radio stays off on the car ride home! Or I prefer a book on tape. Your son Alexander, also a cellist, was a featured “Rising Star” performer during the 2016 Basically Beethoven Festival. What’s it like as a father to see him perform? It’s so interesting because on the one hand, knowing his playing as well as I do, I’m completely confident that he’ll be fine in a concert. Despite that, I’m a nervous wreck! Who’s your favorite composer to listen to? To play? I really love French music. Especially Faure, Debussy, and Ravel. What advice would you give 14-year-old Jolyon? If you really want to improve, you need to practice consistently and you need to practice smart. It’s so important to have a plan when you get to work. I wish I learned this at an earlier age. What advice would you give a high schooler who wants to pursue music in college? Music is a very demanding profession. If you’re not all in, don’t do it. If you try to do a double major as a “back-up,” you most likely won’t succeed. The most important thing you will do in college is practice – probably 4 or 5 hours a day. Anything that gets in the way of doing that needs to go. After college you aren’t going to get hired because of your degrees, grades, extra-curricular activities etc. You’ll get hired because of how well you play. What’s your favorite sound (musical or non-musical), and your least favorite sound (musical or non-musical)? Anybody who has ever spent any time in the Great Lakes region will know what I’m talking about. It you walk along the shore of any of the Lakes after a few days without wind the lake will be so flat it will look like glass. However, right at the water’s edge there will appear tiny wavelets that wash up the shore. They are only a few inches high and make a very soft “brushing” sound. This might be my favorite sound. It’s either that or bagpipes. Believe it or not, I love bagpipes! My least favorite sound is when I step outside on a quiet evening and hear traffic in the distance. When you leave this world and reach the pearly gates, what celestial concert do you hope to hear? The slow movement of the Saint-Saëns Organ Symphony.